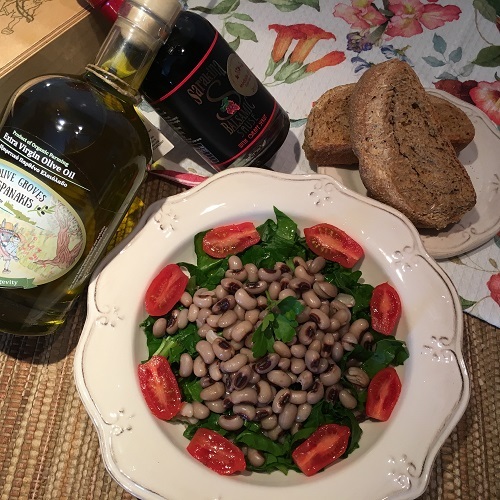 Lightly boiled black-eyed beans from Feneos valley in North Peloponnese tossed into a healthy and nutritious salad with fresh spinach, onions, tomatoes and cucumber. You can also add raisins. Sprinkle with Olive Groves organic olive oil and add salt and apple cider vinegar. Alternatively, use Sarakina balsamic sauce with grape syrup for a delicious taste. Serve with traditional Cretan wheat rusks and enjoy!